Current western feminism and psychology have a particularly close relationship, with feminism finding an increasingly important voice in psychology. 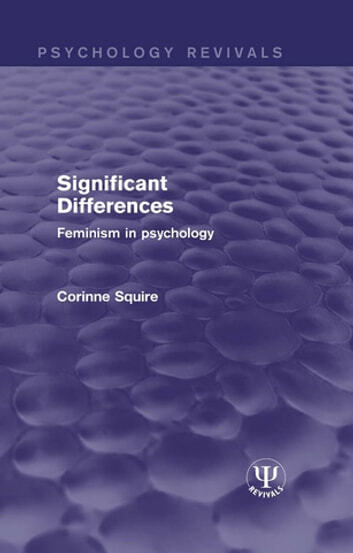 In this clear introductory text, originally published in 1989, Corinne Squire examines what feminism and psychology mean to each other, concentrating on the different ways in which feminism is articulated in psychology. Each of the feminist ‘movements’ within psychology is explored, with clear and critical explanations of the ways in which they differ significantly from conventional psychology. 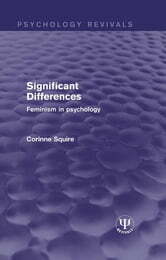 Squire looks at the dominant, egalitarian form of feminist psychology, which tries to work within traditional psychology, and at the woman-centred feminist psychology, which has developed largely outside the conventional discipline, and analyses the limitations and advantages of these approaches. She goes on to look at more complex feminist attempts to deal with psychological concerns, and identifies feminist initiatives, throughout psychology and outside it, which manage to address psychological issues but refuse to respect the boundaries of mainstream psychology, forming instead helpful associations with other forms of knowledge in order to change the nature of psychological discourse.